We have already scheduled to complete the work before the end of this year, probably beginning of December. If you have any (firewall) rules configured based upon our current IP (213.181.52.67) then you'll need to add the new one (195.13.14.238) as well in the meantime. That will ensure the requests we send from the web servers will continue to reach your servers once we're on the new environment. You might find this IP in your firewall or Sage Pay, Ingenico/ Ogone configurations. You can add this in just a few steps. If not already done, you'll need to authenticate your site. This can easily be done via a meta tag (admin area, Meta Tag -> Default, Add new). Next step is to add your Google Analytics script to the webstore via the Enable Tracking Script feature, also from the admin area. Create a new tracking script, copy paste your Google Analytics script, save & activate. Then you can monitor your traffic in near real time. Let us know if you need a hand! We have already helped "crawlers", by specifying in "robots.txt" that your "sitemap.xml" is available. 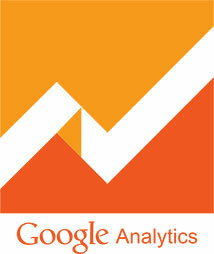 However, sometimes Google analytics needs to be pointed in the right direction. You can easily point to the “sitemap.xml” file in the root of your site in your Google analytics admin. To submit your sitemap, create a goal in the Google tools, etc. Please refer to Google Search Console for more details on the topic of your interest. On November 24th from 3.00 pm to 5.00 pm at our offices.